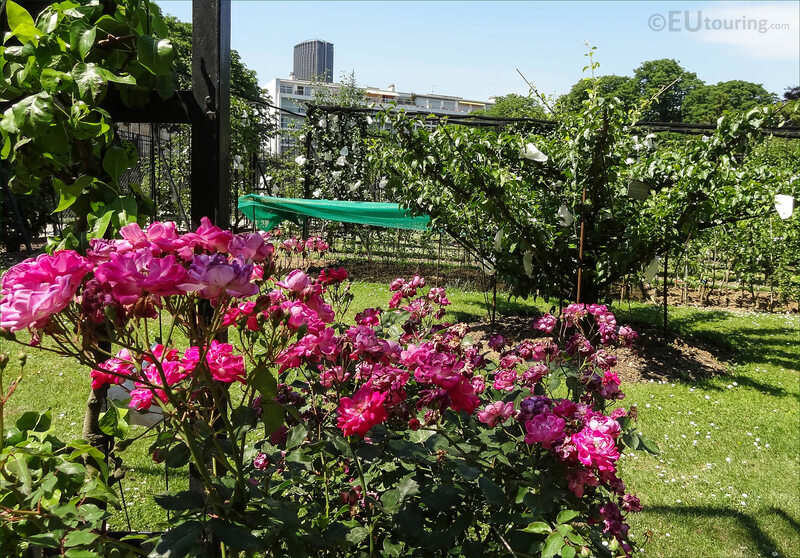 The flowers in Luxembourg Gardens are one of the reasons that people enjoy this free public park in the 6th Arrondissement of Paris so much, and we took these high definition photos showing just some of the many varieties of plants and flowers you could discover. 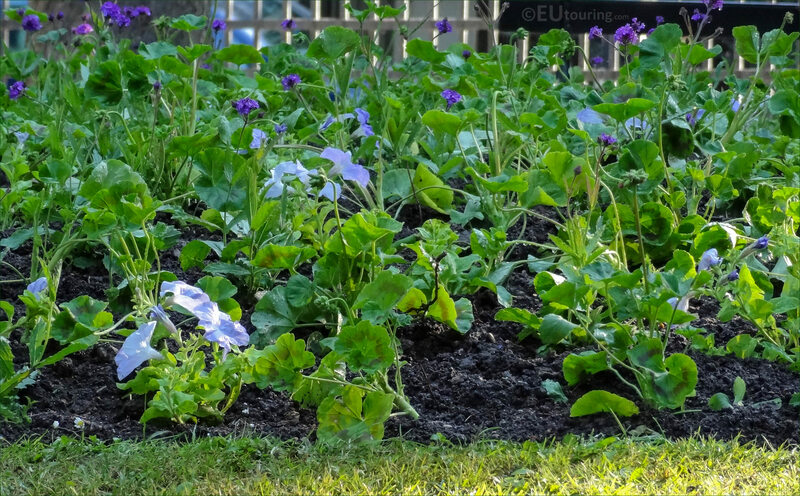 This first HD photo shows a close up of one of the different varieties of flowers within the Luxembourg Gardens, many of which, just like this one located by the Medici Fountain, are planted into ornamental pots, and as far as we are aware this is a variety of Pansy and purple pansies are meant to represent memories, which would be quite apt due to its location. 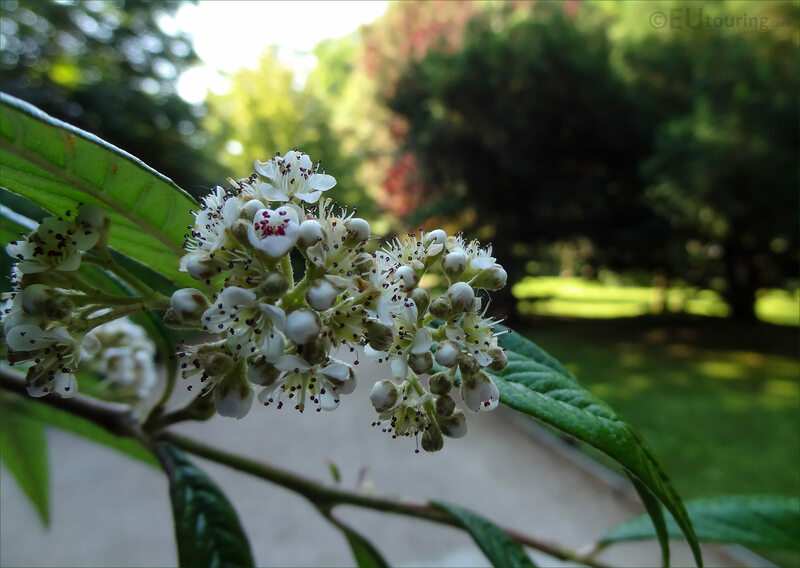 Now as you can no doubt understand, you will discover different varieties of flowers depending upon what time of year you decide to visit the Jardin du Luxembourg, and this is also the same scenario for flowering shrubs and trees, so there will be something different every time you visit this garden while in Paris. 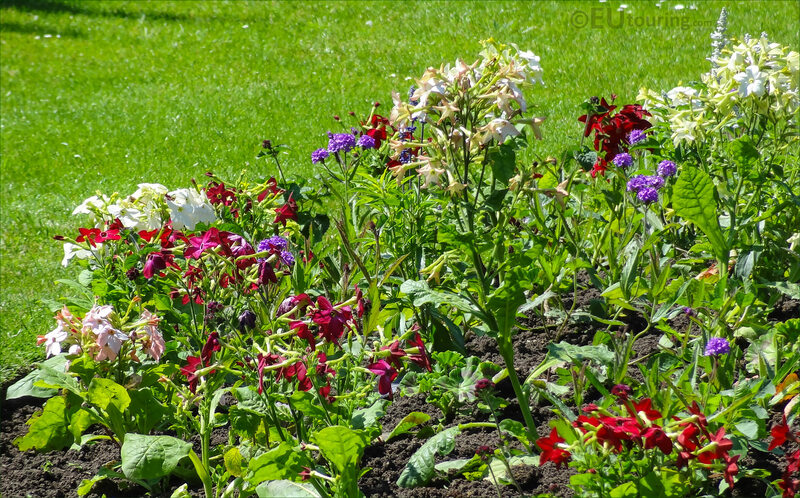 You will find that the central area of the Luxembourg Gardens is laid out in a formal French style garden, which has straight flowerbeds in front of the Palais du Luxembourg with small bedding plants of different varieties and colours that are planted each year by a dedicated team of professional gardeners. 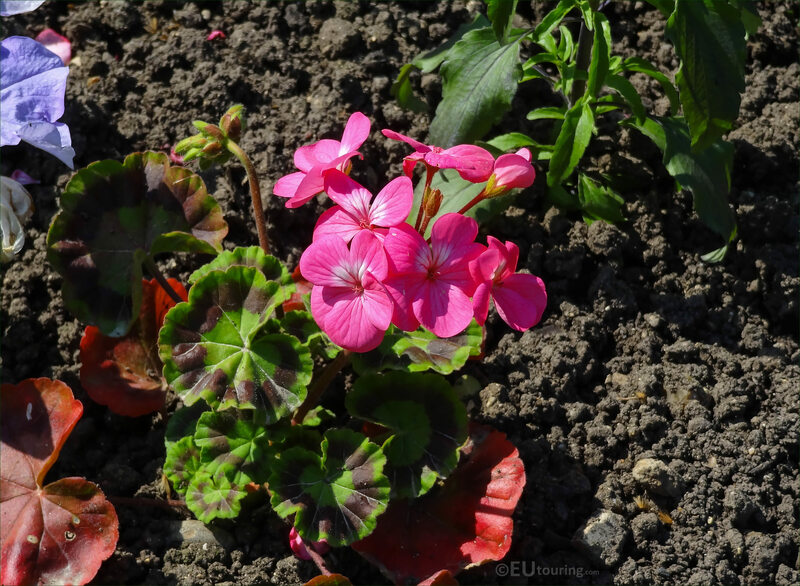 Yet this next photo shows a close up of a type of Geranium, which has a botanical name of Pelargonium, and there are numerous different sorts, but this type is classified as one from the Zonal group due to the colouring of its leaves, and is sometimes referred to as the Pink Happy Thought, rather than its common or botanical name. 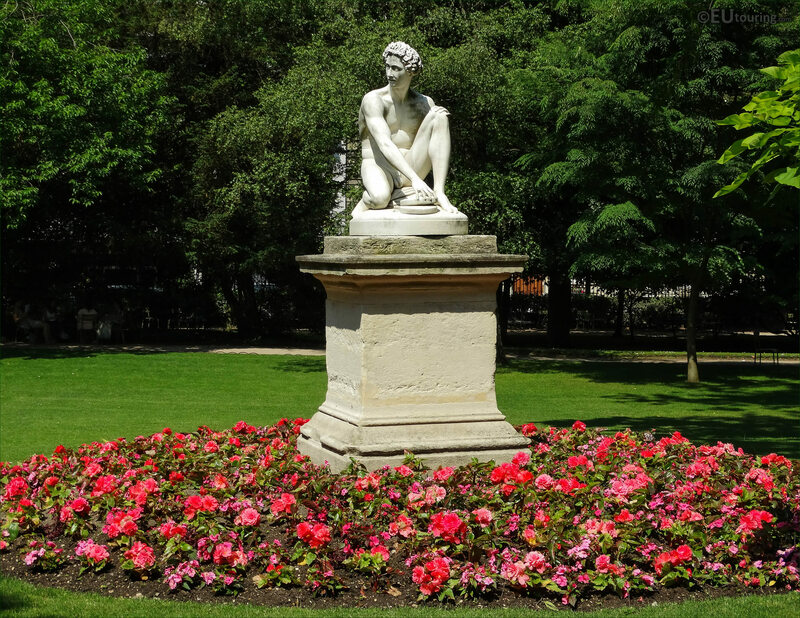 So here you can see a beautifully coloured flowerbed that surrounds one of the numerous statues within the Luxembourg Gardens, and this particular one had been planted with white and red Peonies along with other bedding plants and grasses, and the Peony was actually named after Paeon, who in mythology was a student of the Greek God of Medicine and Healing called Asclepius. 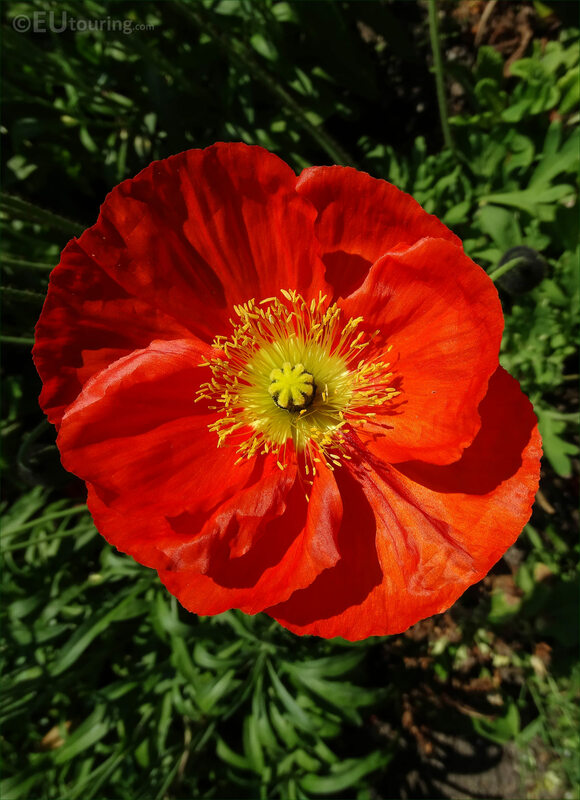 Yet this next close up photo shows a flower called the Iceland Poppy, which has a botanical name of Papaver Nudicaule, which normally flower in late spring, being first described by botanists back in 1759, and although these particular poppies are in a vibrant orangey-red colour with a yellow centre, other colours such as white and yellow also exist. 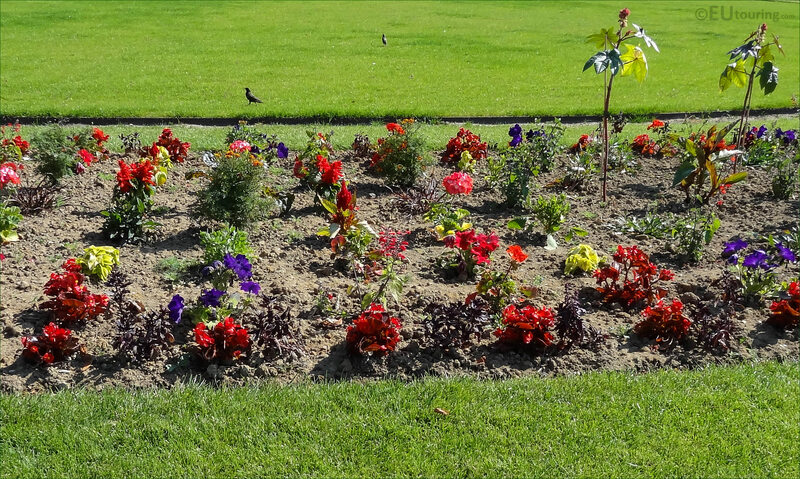 But here you can see another flowerbed that has been planted with a wide variety of flowers in different colours, and incredibly, over 140,000 bedding plants are produced annually for the Jardin du Luxembourg and for decoration within the reception venues at the Palais du Luxembourg. 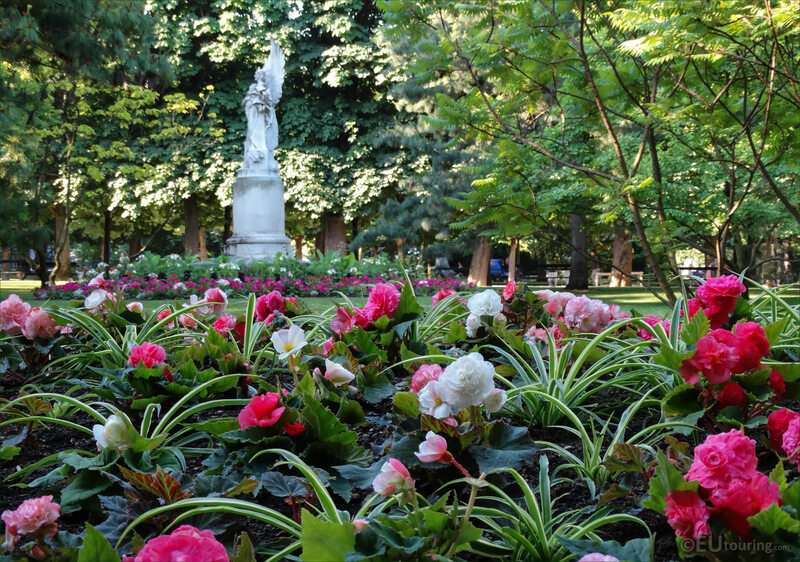 In fact, the production of all the plants is run by a sort of horticultural company overseen by the French Senate, and the only way you can get a very privileged job working within these historical gardens in Paris is by going through a competition process, so the expertise of the entire team is phenomenal. 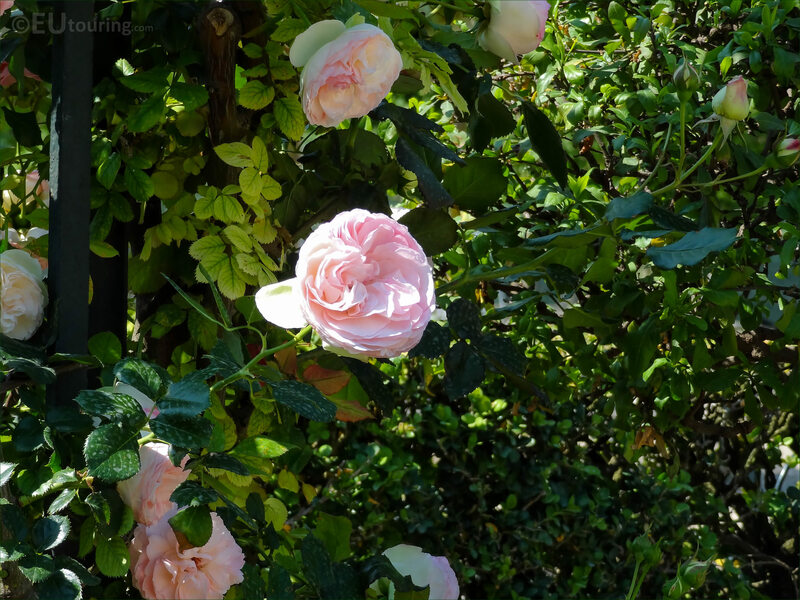 However, in this photograph you can see one of the climbing roses that can be found within the Rose garden in the Luxembourg gardens, which we think is a variety of Bourbon Rose that was first introduced into France in the 1800s, although it is also very similar to a Tea Rose that was catalogued by the head gardener at that time as once being within the garden. 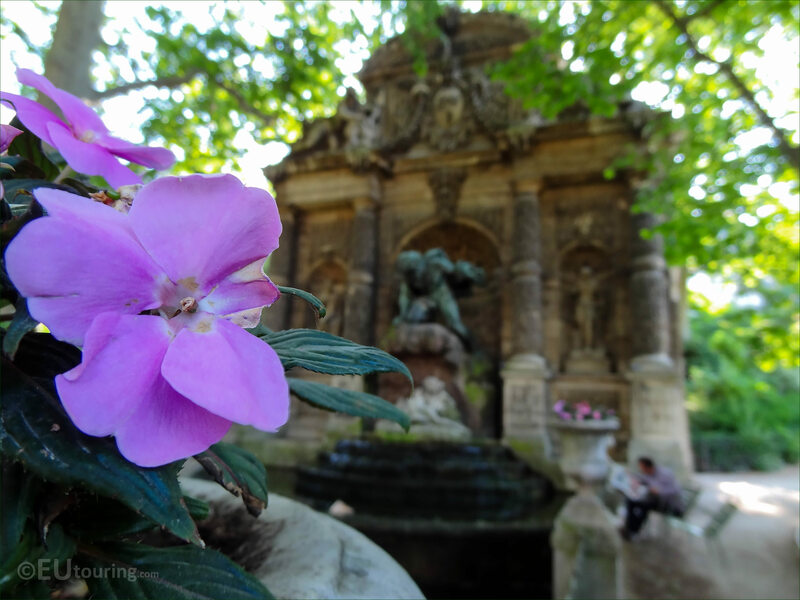 Whether you are a trained botanist, keen gardener or just a person that enjoys discovering beautiful gardens and parks with their floral decorations, the Jardin du Luxembourg is a spectacular place to visit while you are on holiday in Paris, and there is even an historical orchard. Unfortunately though, we are not very knowledgeable when it comes to different varieties of flowers, and therefore do not know what these particular bedding plants are called, but with petals being white on the top and dusty pink underside, they just looked so pretty, so if you know what these are called, then please feel free to let us know. 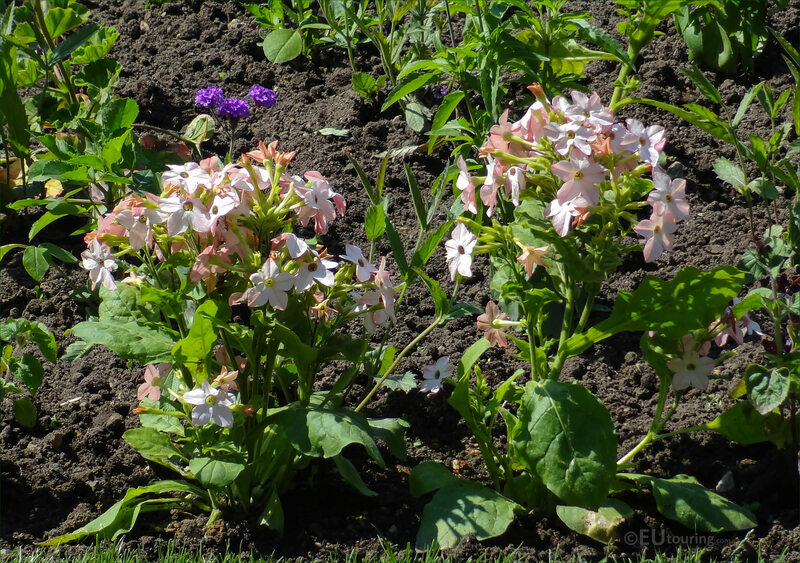 Now this next photo shows some pretty trumpet shaped flowers in a pale blue colour, which we believe are a variety of bedding plant called a Petunia that flowers during the summer months and comes in all different colours and varieties to add colour to pots or flowerbeds. 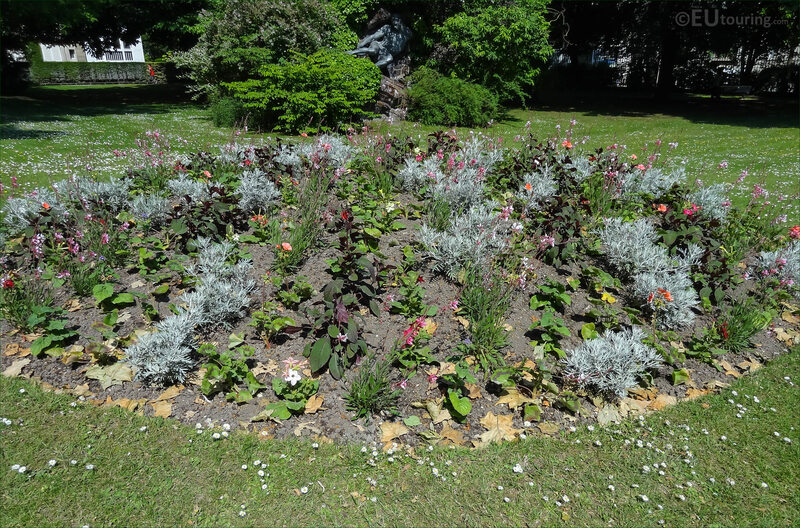 Although these bedding plant flowers in the Luxembourg Gardens were all different varieties that had been planted to provide different colours and styles, there is organisation to each and everyone with the taller flowers that looked like Blue Sage at the back nearest the hedge. 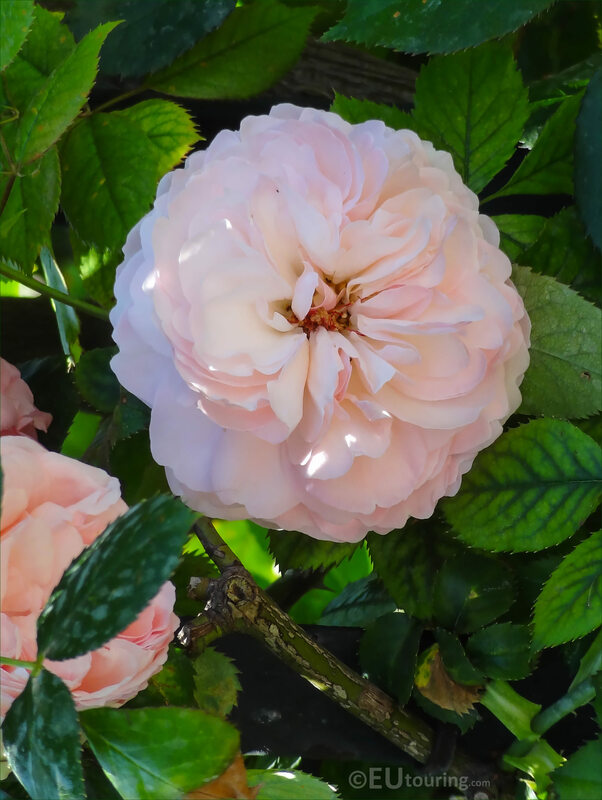 Known as a Roserie in French, you will find several different rose gardens in Paris that have been popular for centuries, just like the one at the Jardin des Plantes, yet we took this close up HD photo showing one of the many different varieties of roses, and this particular sort of Rose can be found within the Rosery of the Luxembourg Gardens. 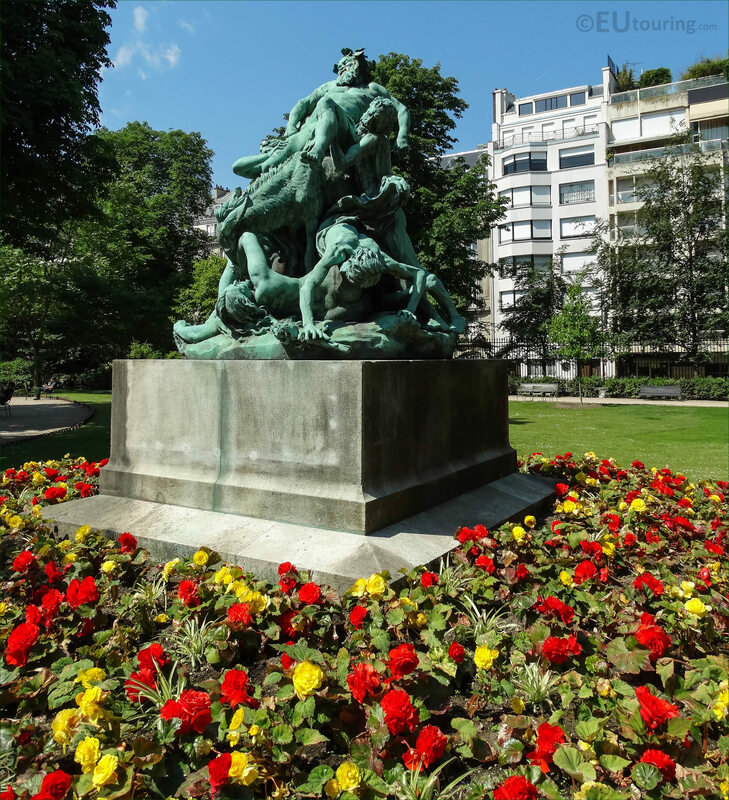 We mentioned before that there are several circular flowerbeds that surround statues and as you can see in this image, the flowers provide a mass of colour to the Luxembourg Gardens contrasting with the stone art work and the greenery of the grass and trees. 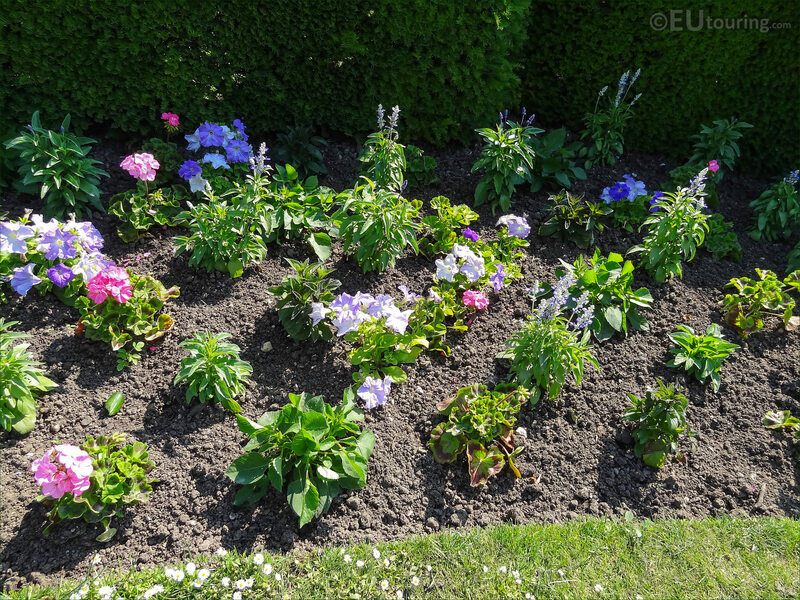 But here you can see an entirely different style of flowerbed in the Jardin du Luxembourg, which is located in the north western part of the garden, that contains a variety of flowers and even silver leafed bedding plants. 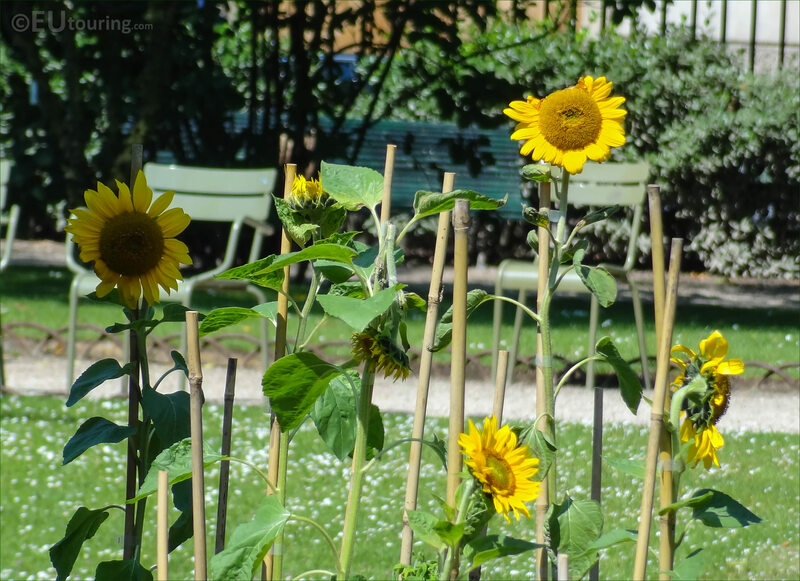 However, this photo shows one of the very well known types of flowers that has a common name of Sunflower and is a popular plant that many schools get children to grow to see who can nurture the tallest one, yet there are several species of sunflower and this has a botanical name of Helianthus. 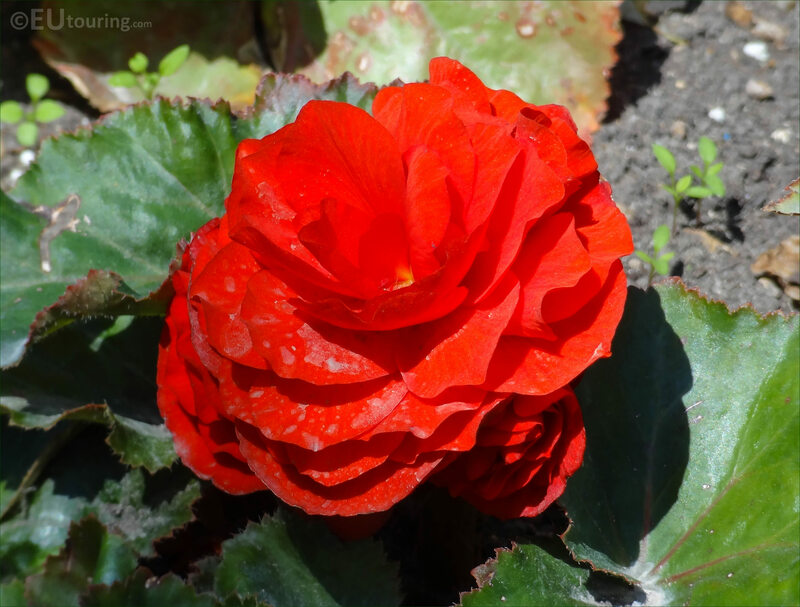 And here is another close up macro photo showing one of the beautiful red flowers that blooms from late spring, and this was located in an area of Luxembourg Gardens that had been laid out in a less formal more English style. 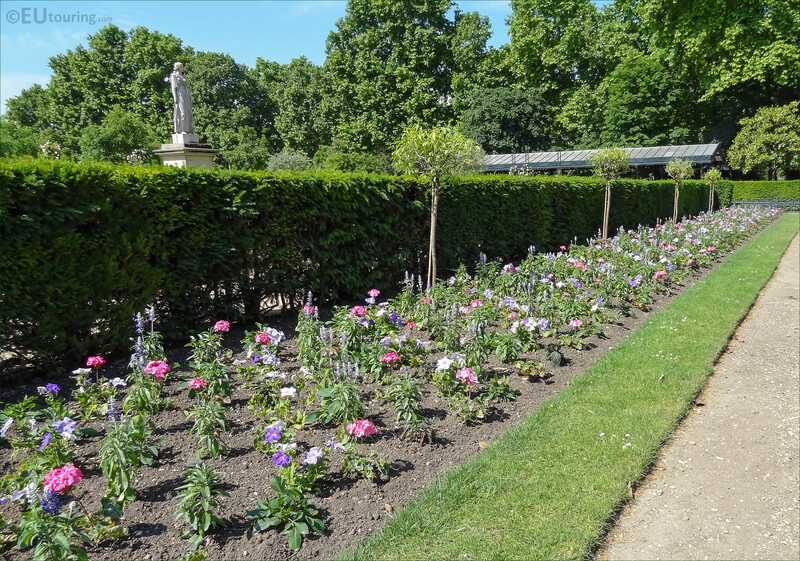 Now this is another photo showing a part of the flower bed in the formal French garden located in the central area of the Jardin du Luxembourg that you can see from the south facade of the Luxembourg Palace, which is close to where the grand basin is positioned. 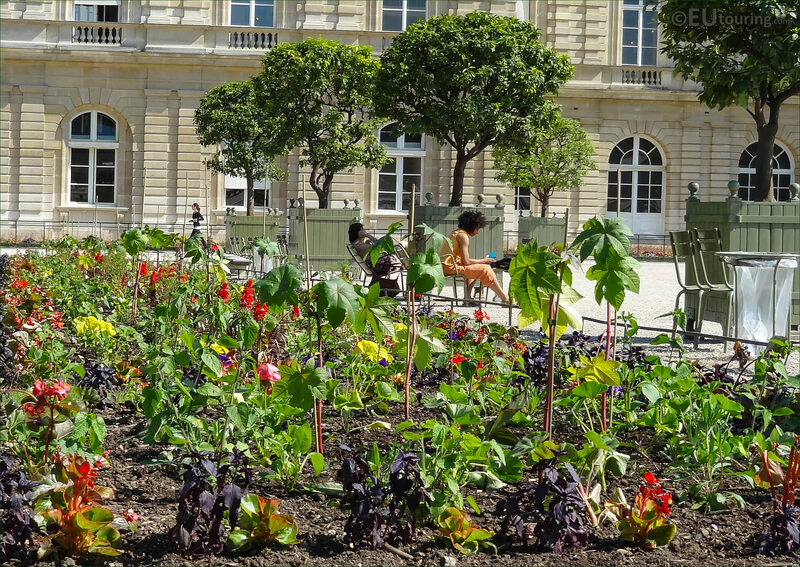 Yet this last high definition photo shows another flowerbed that is located by the Roserie and the Orangerie of the Luxembourg Gardens close to the gazebo you can see in the background where people come to play chess or relax in the shade with a book and these are just a few different varieties of flowers from over 140,000 produced each year specifically for these impressive historical gardens.